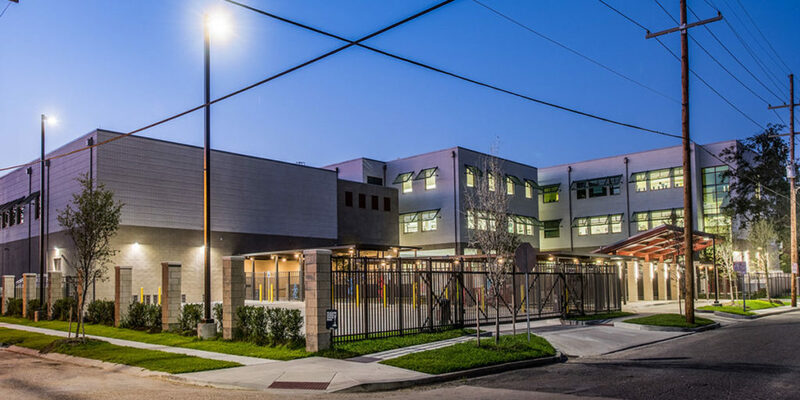 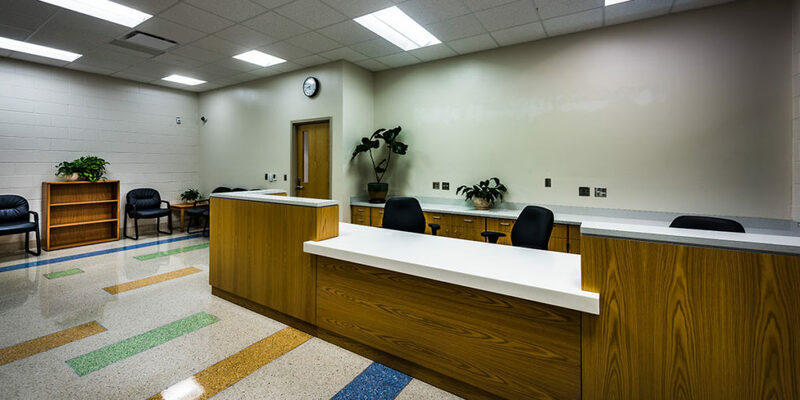 The design of the new Morris Jeff Community School at Fisk Howard, located in Mid-City New Orleans, presented challenges as the building program and available land to develop was quite constricted. 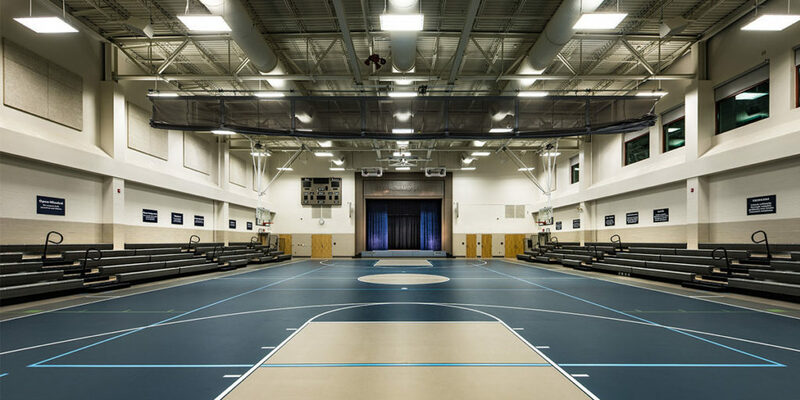 The building is a three story structure with gymnasium, with associated functions at nearly two stories. 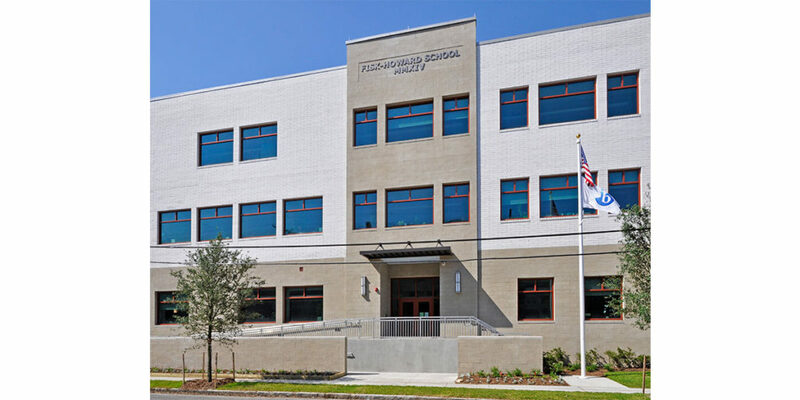 The total area of the new school is 106,212SF situated on a full parcel city block of 103,750SF. 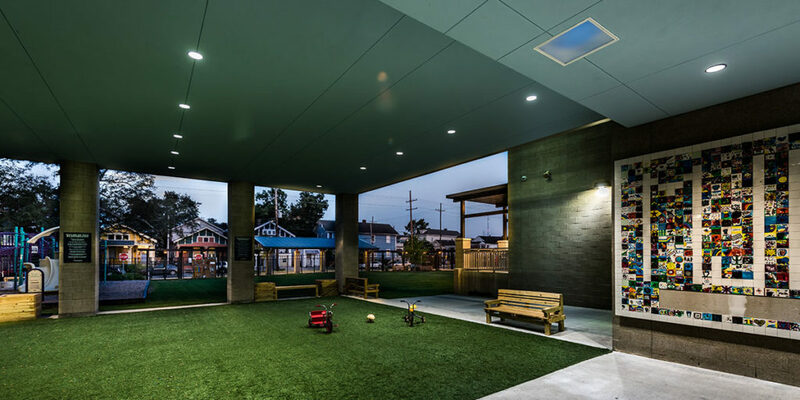 The Joint Venture team of VergesRome + Fanning Howey developed a design to reflect neighborhood character and address scale with various exterior building material options. 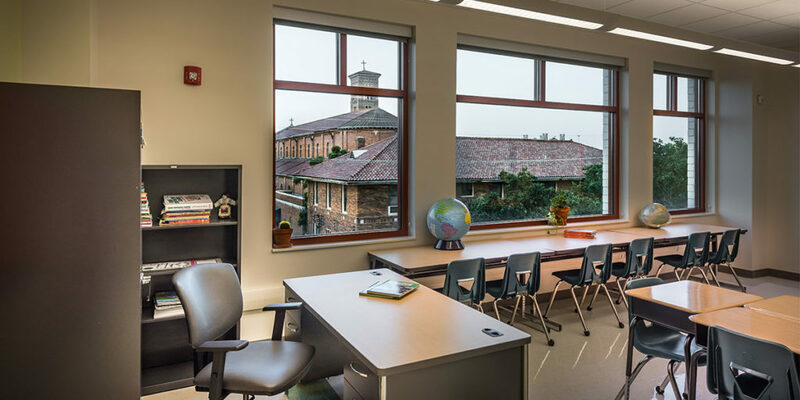 The new school is mandated to be certified LEED Silver. 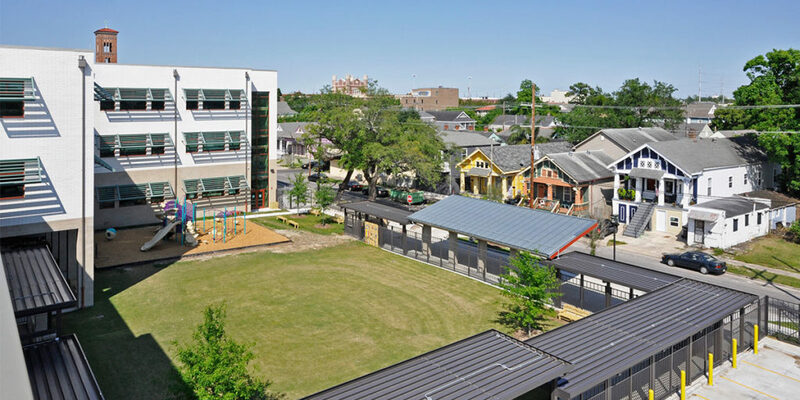 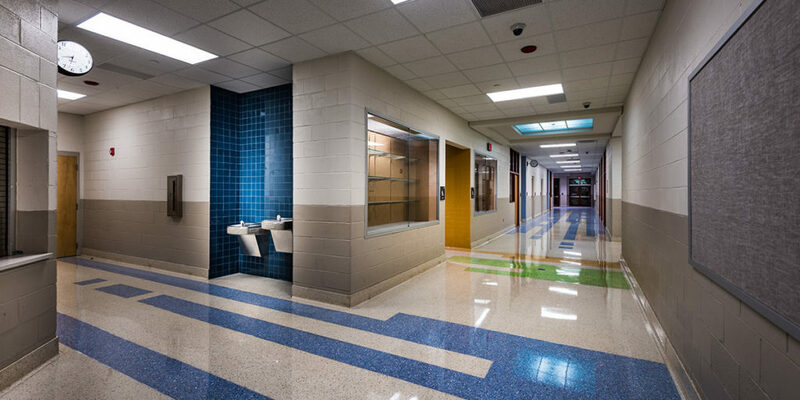 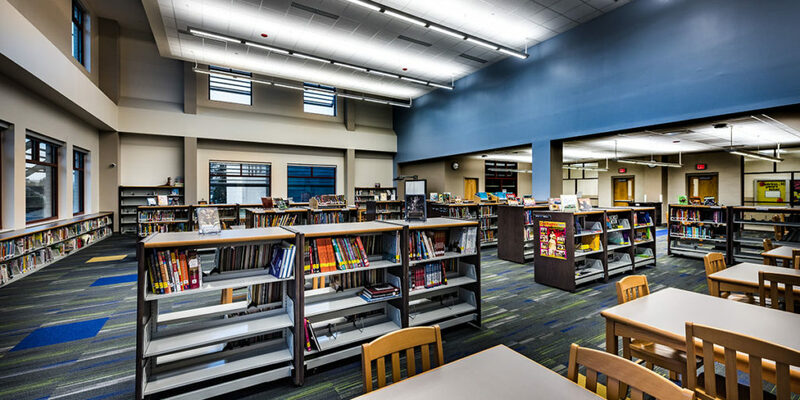 VergesRome Architects designed a spirited, engaging environment for students while complementing the scale and eclectic styles of the surrounding neighborhood.